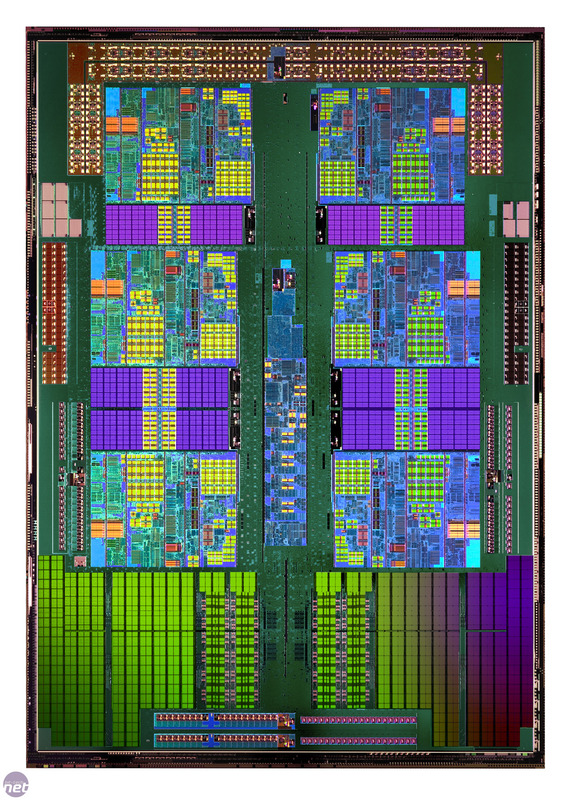 As the X6 1090T BE is made using the same 45nm manufacturing process as the X4 965 BE, to keep within the 125W TDP limit, AMD has had to reduce the clock speed of each of the cores from 3.4GHz in the X4 965 BE to 3.2GHz in the X6 1090T BE. This isn’t much of a drop though, and is partially made up for by a new technology: Turbo Core. This automatically overclocks individual cores when the CPU is not running at its maximum TDP, such as when some cores aren't fully loaded. 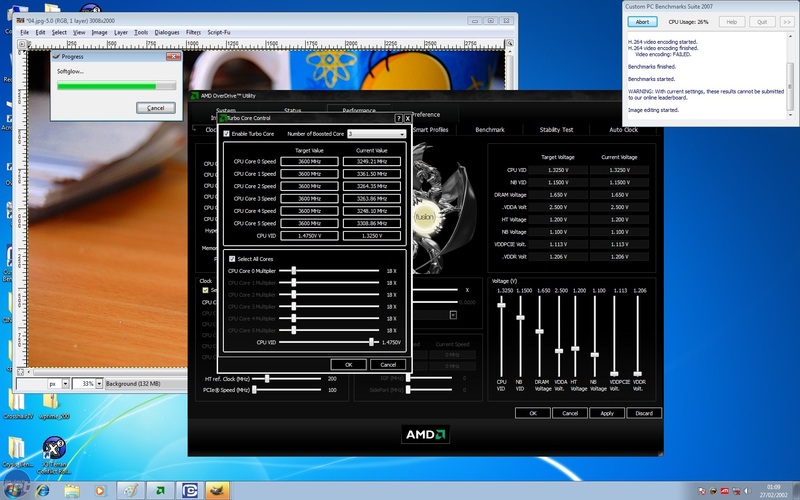 AMD claims the cores can clock themselves up to 3.6GHz, so for example when running a single-threaded application only one core will overclock itself. We tested this by running a single instance of Prime95, and indeed one core did jump up to 3.6GHz. Turbo Core is a new technology introduced in the Thuban core that tries to automatically overclock individual CPU cores on the fly. However you're unlikely to be able to take full advantage of Turbo Core as unless you're running DOS, it's extremely unlikely that you'll ever only be running one thread at a time - after all, Windows itself runs multiple threads in parallel. For example, while we were running our benchmarks we never saw any individual core run faster than 3.36GHz. As such, it’s fair to say that Turbo Core is a lot less aggressive than Intel Turbo Boost, the equivalent technology in Core i-series CPUs. Still, it’s good to see AMD developing new ways of increasing CPU performance without breaking compatibility with the huge back catalogue of Socket AM2+ and AM3 motherboards. Unlike the i7-980X, each of which’s six cores has proportionately the same amount of Level 3 cache as the each of the i7-930’s four cores, AMD hasn’t been so generous with its six-core CPU. 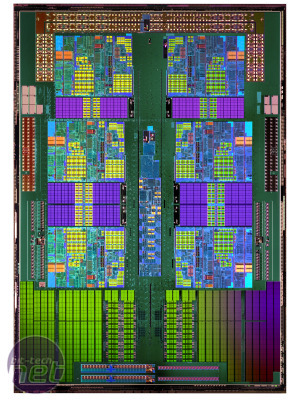 The X6 1090T BE has the same 6MB of shared Level 3 cache as the X4 965 BE, a significant 33 per cent reduction per core. Each of the core's Level 1 and Level 2 caches remain the same size though; 128KB and 512KB respectively. Like all Socket AM3 CPUs, the X6 1090T BE supports both DDR2 and DDR3 memory, the latter obviously being preferable due to its higher performance, especially when used in conjunction with one of the new AMD 890FX motherboards also being launched today.